Do you have items you can’t toss (at least you shouldn’t toss) into the trash or place into the recycling? Perhaps you have vehicle batteries, chemicals or other products hazardous to the environment. When living in or around Custer County, Colorado there are ways to help dispose of all these objects and items, you just need to know the best location to take, drop off or send the objects. If you change out your battery, it likely still contains the battery core. This core may leak out acid and other toxic materials. Even if the battery no longer holds a charge the core will still have residue. So what should you do about this? Take the battery to your local auto parts store. These locations recycle batteries and may even give you a small gift card for the battery. You can also take it to auto repair shops as these locations typically accept batteries as well. The same is true if you change the fluids on your vehicle (such as your oil or coolant). Auto parts stores will accept your vehicle fluids without charge. If you have multiple fluids to take in though, contact the location before mixing anything into a single container. Many will need the fluids to be separate in order to accept. When purchasing appliances like a washing machine or hot water heater the company delivering the new appliance will often remove the old appliance. If, however, this does not happen, you can take it to the Custer County Landfill, which is located at 2250 County Road 328. There is a $10 fee for appliances and a $35 for refrigerators. You’ll need to bring it out yourself so talk with a friend who has a truck, or you can rent a truck from hardware stores like Home Depot or Lowe’s by the hour. Is your garage collecting can after can of paint? Sure, you can keep it on hand in case you ever need a touch up, but over time the paint will go bad. Plus, do you really want to have dozens of paint cans taking up space? Whatever your reasoning, if you’re looking to rid your home of unused paint, take it into your local home improvement stores like Lowe’s. These locations accept paint free of charge. Remember to make sure the paint is stored properly before loading it up into your vehicle, and contact your local home improvement store so you know what time the paint recycling is available. Most dumpsters and landfills will not accept electronics. When electronic devices break down they may leak chemicals into the ground, so you need to dispose of them properly. Like paint, toner cartridges may leak and seep into the local water supply. If you take them into a local Staples, Office Depot or OfficeMax you’ll receive a small credit off future ink toner purchases. There are also online locations you can mail the ink cartridges out to, should you find that option to be easier. These are some of the options available to you when it comes to hard-to-dispose items in Custer County, Colorado. If you still have items not covered on this list and you’re looking for suggestions, feel free to contact the Custer County Government landfill service at 719-783-2726. Here you can talk with the service staff for more specifics regarding your hard to dispose items and what (if any) regulations are in place. Oak Disposal Services works hard to meet the needs of everyone in the Wet Mountain Valley and beyond. Are you a Snow Bird? Not a problem! Do you want to share service with a friend or neighbor? No problem! Are you having a get together and don’t want to tax your septic system? We can help! If you do not see your need listed, please do not hesitate to call us! We will do our best to provide service for you. Metal Recycling: Oak Disposal Services recycles metal during listed yard hours. Fees range from $5.00-$35.00. Single Stream Recycling: If you do not want to deal with sorting your recyclables and taking them to different locations throughout the county, then we are pleased to let you know that we now offer single stream recycling. For $3.00 we will provide you a 55 gallon bag that you can put ALL of your recyclables in, including plastic! Once the bag is full, you can return it to the office Monday – Thursday from 8:00am to 4:00pm. The top of the bag must be able to close fully. Cardboard can also be recycled during the above hours. Cardboard needs to be broken down. There is no charge to recycle cardboard. We provide bi-monthly pick up in Custer County, as well as portions of Fremont County. The towns of Westcliffe and Silver Cliff are serviced on a weekly basis. We have containers ranging in size from 96 gallon toters, to 8 yard dumpsters, with a 2 yard dumpster being a standard size. A toter works well for most families. We are able to set larger containers for HOA’s or groups of people that want to share. If you do not live here year round, then we can suspend your service and resume upon your return. We offer construction dumpsters from 4-8 yards. These work well for smaller projects. We are unable to take concrete, rocks or bricks in construction dumpsters. We have roll-offs available in 15 and 30 yards. These are great for new home construction or major renovation. You can put concrete, rocks and bricks in roll-off containers. At Oak Disposal Services, we are dedicated to providing the best in professional waste management services to not only help the residents of Wet Mountain Valley with their trash pickup needs but to the help the environment as well. Visit our website today to learn more about our residential trash pickup services and the areas that we serve. If you are more commercially minded, we also provide a wide range of dumpsters and pickup services for commercial customers, as well as roll-off dumpsters for those in the construction business. Contact us today to learn how we can help you! While we love trash here at Oak Disposal, some may find the sight of it off-putting, especially if bulky canisters are taking away some of your home’s curb appeal. We get it, trash is not glamorous! However, that’s not to say that you can’t find some creative ways to make sure your cans fit in to the overall aesthetics of your home. 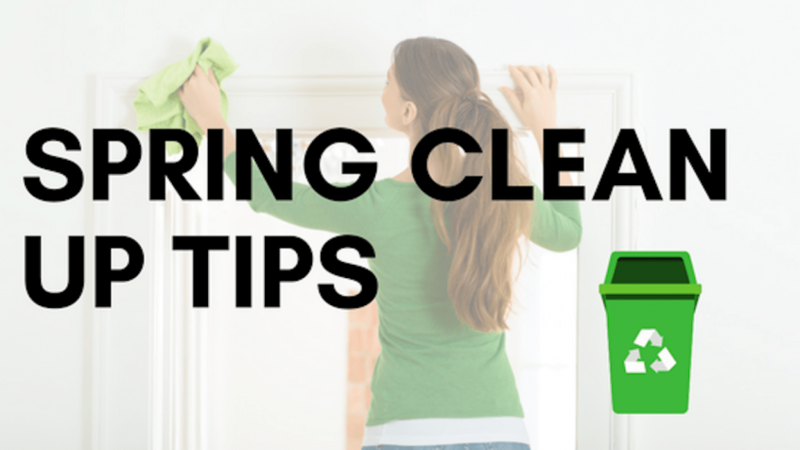 To keep the entire outdoor space looking clean and attractive, there are simple steps you can take to camouflage your trash. A brick or stone wall is a creative way of hiding trash canisters. You can design a small area that is surrounded by bricks using basic household tools while allowing the stone housing to be covered as protection against rain. The shade of the bricks should also complement the outdoor space to make it look less disruptive. Bushes offer a natural and distracting camouflage to your trash canister. You can place the can in an area of your yard that has relatively thick bushes but is still easy to access. The bushes should surround the trash canister and reduce its visibility to passers-by. Flower bushes are an even better fit because they make the area look more natural and attractive. Lattice is a convenient material that you can use to construct a housing around your trash canisters. Lattice looks clean and attractive, distracting people from knowing that a trash can is actually present nearby. You can attach lattice to wooden boards to construct a sturdy housing for the trash canister. Leave an opening where you can place a door for easy access. Pallets also come in handy for camouflaging a trash can. You can simply use 4 pallets to surround the trash canister and leave the top open for filling. The outside surface of the pallets can be decorated with natural colors such as green, brown, or gray. Pallets also provide a sturdy housing that keeps raccoons and other rodents away from the trash canister. If you have a handyman around, why not make a full enclosure for your cans to fit snug inside. You’ll want doors, of course. It’ll be like a canister box with the added benefit of keeping bears at bay! No matter how you decide to store your toters, by camouflaging them or simply keeping them neatly by your home, Oak Disposal proudly serves all your trash disposal needs. If you would like to learn more about our residential trash pickup services or any of our other services, please contact us today. We proudly serve the residents of Wet Mountain Valley and we are certain that once you experience the convenience of our services here at Oak Disposal, you will never want to handle your own garbage removal again. When the weather starts to warm up, it’s a sure sign it’s time to open up those windows, clear the cobwebs and freshen up the home, and clean up the yard after our Colorado winter. We’ve got tips to help you get started, stay organized and safely (and effectively!) dispose of your accumulated waste. It’s never too early to begin teaching kids how to be responsible about waste! Enjoy this fun infographic to help kids learn the basics behind the principles of “reduce, reuse, and recycle.” Visit RMP USA for more info. Hello, and welcome back to our blog! Here at Oak Disposal Services, we consider ourselves to be experts in the field of waste removal. We have built our entire company around helping people get rid of their garbage and, in our opinion, that has given as a unique perspective on the importance of making sure that society’s garbage is properly handled. Although most people don’t consider the amount of waste that is handled on a daily basis, if all trash services across the country stopped collecting garbage, people would quickly see that excessive amounts of waste can have a serious effect on society as a whole. In today’s post, we are going to go over some of the top reasons that waste management services are important and why they are pivotal to the proper functioning of society. Continue reading below to learn more. Looking past the politicized nature of environmental stewardship, pretty much everyone can agree that we need to treat the Earth as well as we can. Given that we haven’t found another planet that is habitable for humans, the Earth is currently our only option as a living space, meaning that we need to make sure it doesn’t become completely uninhabitable. Waste removal services help to make sure that hazardous materials and other harmful left-overs are properly taken care of. Without proper waste management services, the potential for contamination of soil and water sources is much higher. This not only affects the overall health of the environment but also poses a hazard to people in general. Perhaps the largest impact that waste management has in relation to the environment, is the fact that most waste disposal services put a lot of effort into recycling as much of the material as they can. Recycling is not only a good thing because it allows society to reuse items, it also helps to reduce the overall amount of waste that is deposited into surrounding landfills. Recycling also helps to reduce the industrial carbon emission associated with making products from scratch because many processes are able to be streamlined that would normally require a lot of extra work. While recycling programs in the United States have only recently begun to gain popularity, we wholeheartedly believe that in the coming decades recycling services are going to be one of the most important services that waste management companies offer. At Oak Disposal Services, we are dedicated to providing the best in professional waste management services to not only help the residents of Wet Mountain Valley with their trash pickup needs but to the help the environment as well. Visit our website today to learn more about our residential trash pickup services and the areas that we serve. If you are more commercially minded, we also provide a wide range of dumpsters and pickup services for commercial customers, as well as roll-off dumpsters for those in the construction business. Contact today to learn how we can help you! It’s common knowledge that people produce a lot of waste. Between the items we buy, the food we eat, and sheer amount of “junk” that we encounter on a daily basis has lead to millions of tons of trash being produced every year. With this much waste present in the world, it makes sense that services would develop around the removal, management, and disposal of this waste. Here at Oak Disposal Services, we specialize in residential, commercial, and construction waste management and, in today’s post, we are going to go over a few of the benefits that we feel come with our residential trash pickup services. Continue reading below to learn more. When you get down to it, garbage is gross. Most people want to be able to throw their garbage away and completely forget about it. This can be difficult if you are a person that does not have a residential garbage service because, eventually, you will have to take care of your own waste management and take your garbage to your local landfill. Below, we have listed a few of the reasons that letting someone else handle your garbage is much more efficient than trying to handle it yourself. Convenience: The most obvious benefit in hiring a company to handle your trash is the fact that it is much more convenient than having to go to the dump yourself. Most people are busy during the week, meaning that they are not able to visit the landfill until the weekend. This means that a person will have to sacrifice valuable weekend time in order to handle something that could have been taken care of during the week. Hiring a trash pickup service means that you don’t have to worry about handling your own trash, freeing up your weekend and allowing to do the activities that you want to do. Environmentally Friendly: While the environmental impacts of landfills are a hotly contested subject, most people can agree that trash removal services serve to help the environment. How do they accomplish this? We’re so glad you asked. Residential waste removal companies collect garbage from multiple houses, consolidating all of that garbage into a single truck. If this service was not available, people would have to use their own vehicles to go to the landfill and get rid of their waste. The emissions of a single garbage truck are much less detrimental to the environment than the emissions from hundreds of cars so, when you get down to it, garbage trucks are the best choice when collecting and transporting garbage. If you would like to learn more about our residential trash pickup services or any of our other services, please contact us today. We proudly serve the residents of Wet Mountain Valley and we are certain that once you experience the convenience of ours services here at Oak Disposal Services, you will never want to handle your own garbage removal again.